AMD’s Mantle “1.0” is dead. Long live Mantle 1.0. 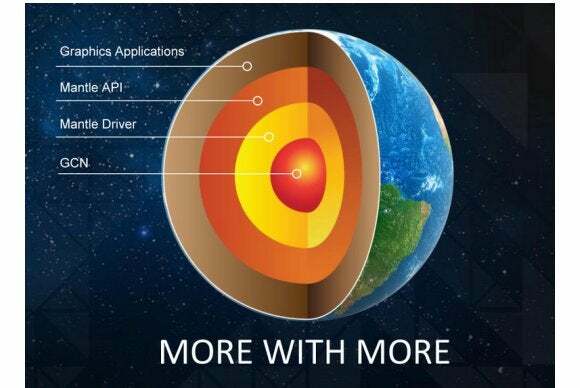 After just a year and a half, AMD appears to be sunsetting its “revolutionary” original Mantle gaming API as we know it, according to a blog post written by Raja Koduri, VP of Visual and Perceptual computing at AMD. “...[I]f you are a developer interested in Mantle “1.0” functionality, we suggest that you focus your attention on DirectX 12 or GLnext,” Korduri writes. Korduri said AMD will no longer release Mantle 1.0 as a public SDK as originally intended, which many will take to mean that that is the end of it as an alternative to DirectX12 and the new OpenGL standards. As a consolation prize, AMD did release a 450-page programming guide the company hopes will stimulate better APIs down the road. The company also said it would continue to support any Mantle partners with its full resources. 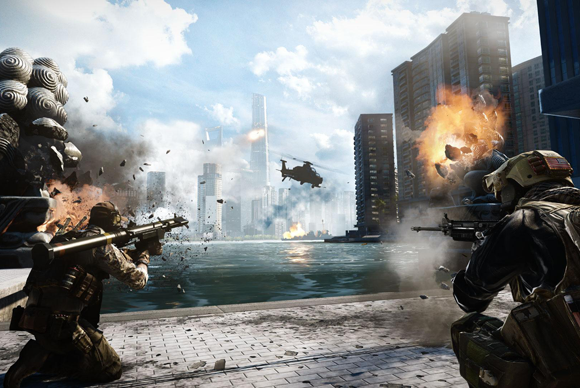 One of the more high profile games that helped boost Mantle was Battlefield 4 support. If this sounds like Mantle’s swan song, that’s not entirely clear. What is clear is Koduri and AMD want developers to move from Mantle “1.0” to DirectX or the new OpenGL. He doesn’t say Mantle is finished, and he even says it will continue on. “Mantle must take on new capabilities and evolve beyond mastery of the draw call. It will continue to serve AMD as a graphics innovation platform available to select partners with custom needs,” he wrote. Korduri said more information on where Mantle is headed would be made public this Thursday at the Game Developer’s Conference in San Francisco. Where Mantle goes from here isn’t clear—perhaps as a private label API for developers who want cutting edge features DirectX and OpenGL can’t provide, or test beds for new features. But it was unlikely to fulfill its original mission anyway. AMD announced the new API in the fall of 2013 to address inefficiencies in Microsoft’s DirectX11 and OpenGL. And Mantle’s most promising feature was addressing OpenGL and DX’s inability to use CPU cores very effectively—something that DirectX should do much better in its latest version. Mantle 1.0’s biggest legacy will be improved draw calls for better gaming performance. Despite the low odds that an API developed by only one of the hardware markers would go very far, AMD actually racked up a fairly impressive number of wins including Battlefield 4. AMD said today that there are five game engines and 10 premium games or applications that support Mantle 1.0. Without the support of its arch-rival Nvidia though, it was never destined to become the default API of choice, even with the interest of Intel at one point. If this is the obit for Mantle though, it did succeed in changing many things. At the time Mantle was sketched out, Microsoft had no plans to develop DirectX 12, which, for the most part has addressed the CPU inefficiency Mantle did. OpenGL is also expected to modernize to keep relevant with DirectX12 and Mantle. The CPU efficiency issue isn’t the only drawback Mantle addressed that looks to be addressed by competitors. Mantle also sketched out fixes for multiple GPU systems that could be adopted too. In DirectX11, having two video cards with 4GB of RAM doesn’t give you 8GB of graphics memory to work with because of the way the API is designed. With Mantle, AMD has said, it’s different: multiple cards would not need to mirror each other’s RAM, so 8GB of graphics RAM could be used more efficiently. Tom’s Hardware recently reported that a similar feature would be implemented in DirectX 12. AMD, Nvidia and Microsoft officials declined to comment. Why this matters: If this is the end of Mantle 1.0 as we know it, it will have achieved what it needed to do—and that’s get Microsoft and OpenGL’s Khronos to finally move forward and faster on graphics APIs that have been holding back PC gaming.